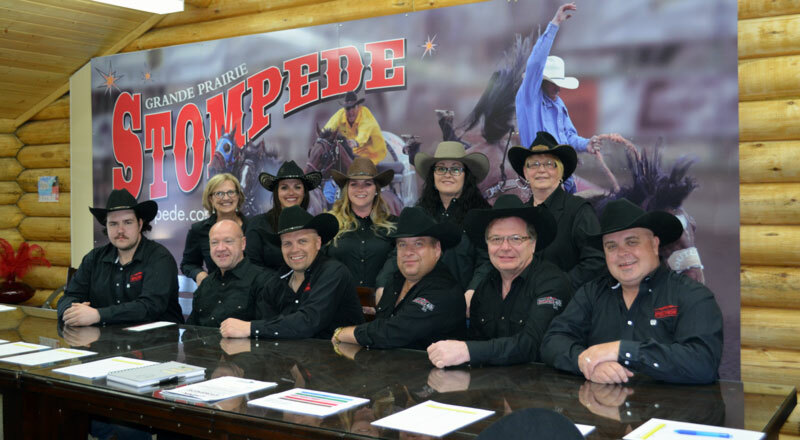 Some folks may believe that Stompede just happens, some may believe that a few people get together to work on a special event, the truth is there is a core group that exists. We meet year-round, bringing our own families, friends, and colleagues into the mix. We eat, breathe and sleep Stompede. This tossed in with the history of heritage ambassadors acting as our mentors and our youth who fuel our drive…..well that makes for a special sort of family. It’s our Stompede Family. It’s a family that chooses to stay together. This speaks volumes! Every year issues arise, growth surfaces, and when the track gets bumpy and the infield gets muddy, it’s the dedication from this family that shines through. 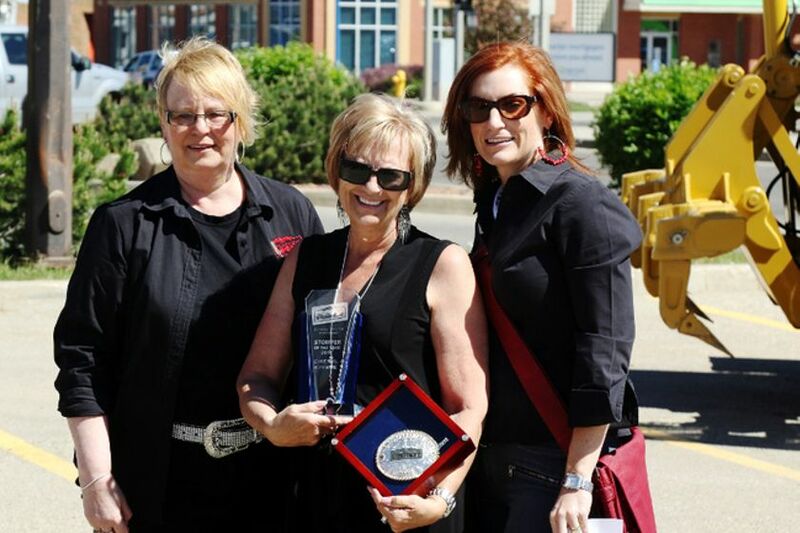 This award is presented annually to a member of the Stompede Committee for exceptional volunteer service. It is a prestigious honour of peer acknowledgement and appreciation. Each member of our Committee submits their recommendation for Stomper of the Year. 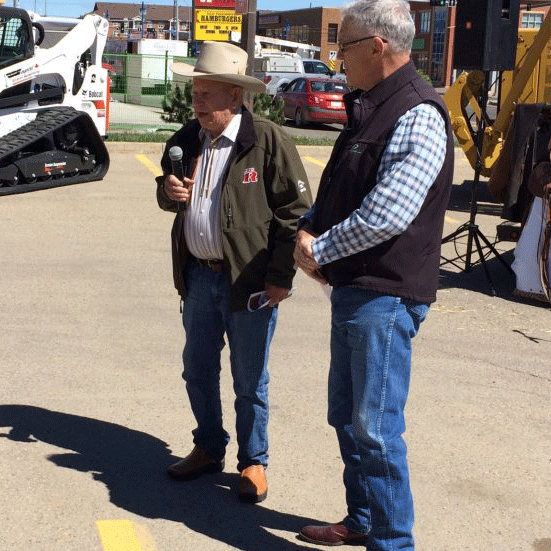 STOMPERS are proud to enhance and promote the preservation of Grande Prairie’s Western Heritage. This year’s Stomper is a remarkable example of family values, who has touched countless number of lives with her infectious positive attitude. It is her willingness to ‘DO’ and her ability to inspire others that has been the glue that builds a close-knit family. The hours are long from dawn to dusk and there she is, sleep deprived, exhausted, often covered in dust or mud and her smile and concern for others never fades. Many have wondered how she does it. 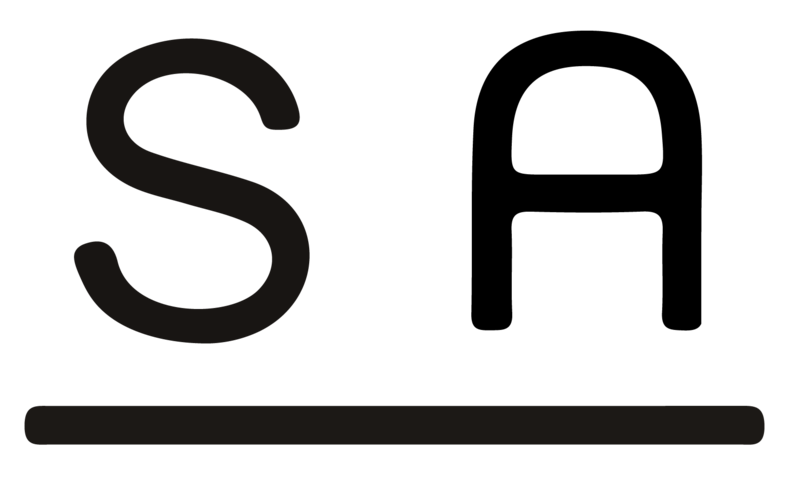 Presented perfectly with an infectious attitude that enables teams to form and partnerships to accomplish greatness. She is no stranger to the western lifestyle and her passion continues to roll out over 365 days a year. Cheryl Kimble joined the Board a few years ago with a desire to give back and help. She does just that! She helps everyone and continues to inspire those who may just need a little bit of encouragement. Stompede has been blessed by having Cheryl join the many Stompers before us and the many who will follow. Thank you Cheryl! 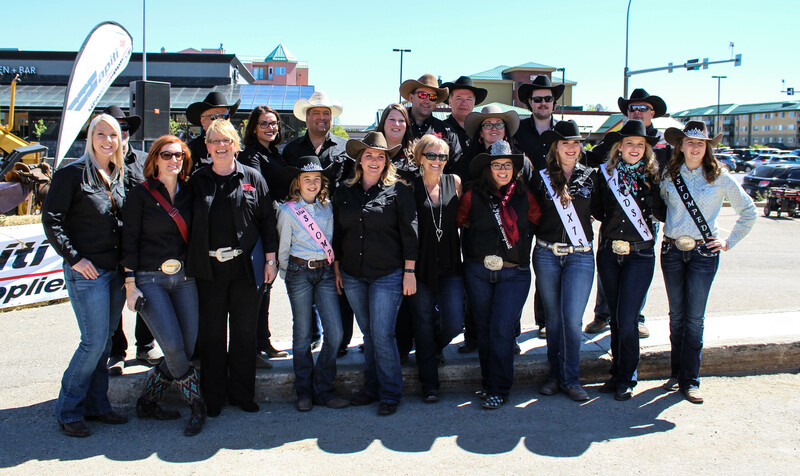 Each year a member of the Rodeo community who displays exemplary talent is selected as the Grande Prairie Stompede Wagonmaster. Jim was born on March 8, 1928 on his family homestead and his parents moved here from Washington State. 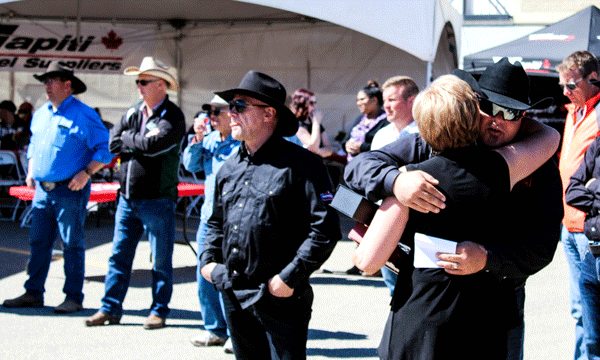 He obtained a 4 year Bachelor of Science degree from the University of Eastern Washington in Industrial Engineering. Jim was then hired by the Fairview College and taught there for six years. During that time he developed Fairview’s famous Turf Grass Program for golf courses and lawns. This program is still available throughout Western Canada. Jim has team roped and was a representative for the northern division of the NRA in World Championships at Gallop, New Mexico. He later moved back to Fairview. Jim and his son have competed in roping events from British Columbia to Texas and in his later years, Jim was a Rodeo coach for youthful competitors in Washington State.